Every now and then one manages to come across simple and yet great movies complete with superb storytelling. And that’s what this latest review is about – a great story told in a simple yet effective and inspiring manner. Inspiring yes, mainly because the movie, Mr Church, encourages one to be a better human – at least that’s what I felt after watching. The movie stars Eddie Murphy in a slightly different role to what we’re used to seeing him in. A drama and no sign of any comedic moments, is not exactly the usual stuff you would use when describing Murphy and a flick he’s involved in. A very welcome and refreshing change it is to see. 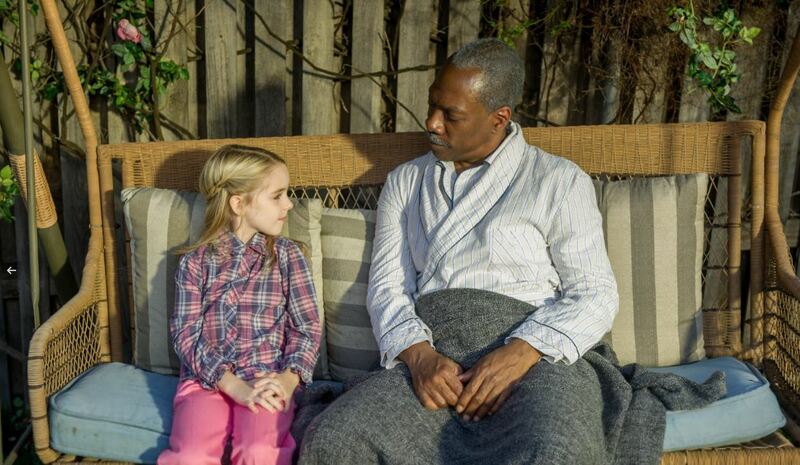 Carrying an unassuming and simple title, Mr. Church tells the story of a unique friendship that develops when a little girl and her dying mother retain the services of a talented cook – Henry Joseph Church. What begins as a six month arrangement instead spans into fifteen years and creates a family bond that lasts forever. I first caught a glimpse of this flick in passing and accidentally so. I’m glad I did because without that I probably wouldn’t have known a thing about it. The short insert I saw was a behind the scenes look at the movie complete with interviews from people who eventually had gotten around to seeing it at its first premiere. What was interesting to note was the fact that most people (mostly comprising of movie veterans) who saw it, raved and highlighted Murphy’s performance. His best they pointed out that could even earn him an Oscar nomination. After seeing it, I couldn’t agree more – the man did a fantastic job. Perfect for the whole family, there’s something refreshing about the movie, a genre we don’t see more of these days. It’s free flowing and easy to follow with no distractions and twists. Despite that though, it does have quite a few holes…well more like one. Specifically, I couldn’t help but want to know more about the man’s life and what happened to him. Mr Church’s story isn’t told properly especially since you get the sense that he’s a tortured man who had a less than pleasant upbringing. The overall story would have been perfect and had that 360 type of feel to it if that bit was added. Mr Church is a great heartwarming movie that everyone can and will enjoy, and despite the man’s story not being told properly, it’s still a great watch. That’s why it gets a very well deserved 3.5 out of 5 rating from me, go check it out.